The clocks go forward on 25 March. Even though it may not feel like it, given the continuing cold, snowy weather we’re experiencing, this signals the official start of British Summer Time (hurrah!). 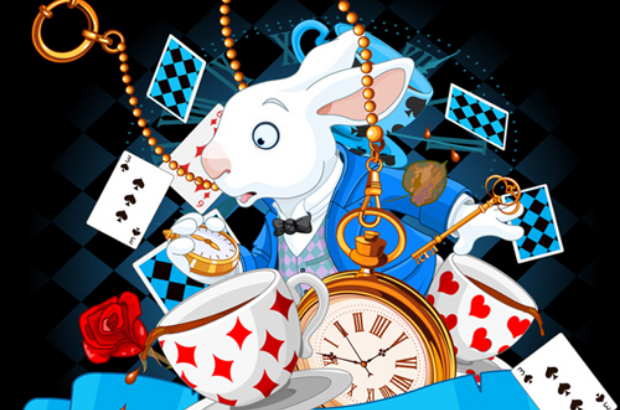 In the words of White Rabbit from Alice in Wonderland, you don’t want to be ‘late, for a very important date’. So, here’s a little reminder from us to spring forward and double-check your clocks on Sunday. One date you definitely don’t want to be late for is when your company accounts are due. With busy schedules and a hundred and one things to remember, it’s easy to fall down the rabbit hole and forget when they’re due. We can’t offer you a drink to make your business grow, or a cake to eat that will shrink your bills (we wish!) but we can offer a range of digital services that make it quick and easy for you to manage your company documents online. If you sign-up for our reminder service, we’ll send you an email when your annual filings are due - helping you stay up to date, and more importantly, avoid any late filing penalties. Using the Companies House Service, you can see if your company filings are up to date and check that the information we hold about your company is correct. If you spot something’s not right, you can easily update the information online. If you make any changes to your company officer details, or you change the address where your records are kept, you must tell us within 14 days. If you issue more shares in your company, you must tell us within a month… or it’ll be ‘off with your head’! Only joking, but it’s important you tell us about any changes as soon as possible. Information on the Companies House register is one of the indicators of your company’s reliability, so you’ll want it to be correct and up to date. The speed of online filing and ease of access means you can update your company information as soon as decisions are made. If you’re registered for online filing, and want to update your company records, you just need the email address and password you used to sign up, as well as your authentication code. If you’re not signed up, you can register online today. So, this weekend, remember to put your clocks forward and make sure you’re on time for those very important dates. You’ll end up with a smile on your face as big as the Cheshire Cat, and you could even celebrate with a (Mad Hatters) tea party!